Saturday 2/9/19, 10AM-5PM - POSTPONED. Stay tuned for the rescheduled date. Join the 'Tend, Gather & Grow' Community of Teachers! Skokomish elder Bruce Miller once said, “The trees were our first teachers.” Trees are models of adaptability, resourcefulness and collaboration. They live in one place their entire lives, building the structures and relationships they need to thrive. 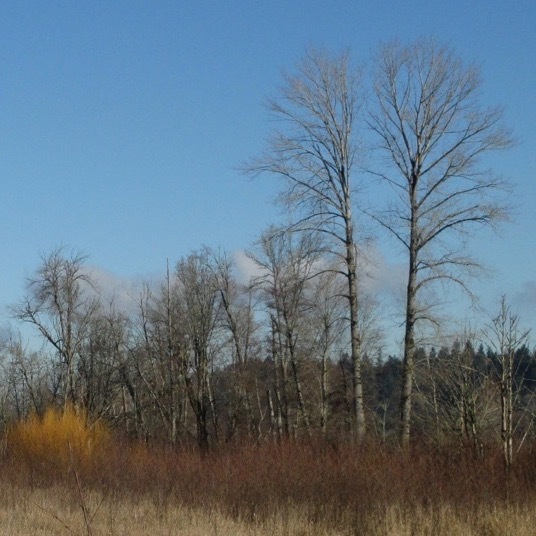 In this workshop we will investigate three common trees that contribute to the health and diversity of Northwest landscapes, especially in wetlands and riparian zones. We will make pain-relieving medicine from bark and buds, create rooting water for stimulating plant starts, and build a small structure from willow. Participants will receive a curriculum that covers the ecological, medicinal and technological significance of these three wondrous trees. Early Bird ticket rate is $100 through 1/19/19. Price goes up to $125 on 1/20/19. Pre-registration is required: register on-line or call 360-753-5522. Refreshments provided; attendees encouraged to bring a bag lunch. THIS CLASS IS POSTPONED DUE TO FORECASTED INCLEMENT WEATHER CONDITIONS. We will be rescheduling it soon! Stay tuned!